Pittsburgh Steelers of the 80’s. Steelers of the 1980’s. It’s safe to say you probably don’t remember Harry Newsome, who punted for the Pittsburgh Steelers from 1985-1989. I don’t blame you. After all, who remembers punters? Other than Josh Miller and Daniel Sepulveda, can you name another guy who has punted for the team over the last 15 years or so? If placekickers are the redheaded stepchildren of professional football, punters are the dishwashers. Oh, it’s not that washing dishes is a horrible job or anything, but nobody goes to a restaurant to see a dishwasher; they go to eat food off of the dishes. Chances are, if a person sees the dishwasher, it’s because they are helping him or her wash dishes as punishment for failure to pay a tab. Which bring us back to Harry Newsome. If you’re looking for information on him, that might he difficult to find. Even his Wikipedia page is short and includes a disclaimer about lack of references and sources. But I can assure you, Newsome was a really good punter during his time in Pittsburgh. The t-shirt says it all…. In-fact, in 1985, the year the Steelers drafted him in the eighth round out of Wake Forest, Newsome won the Joe Greene Great Performance Award, an annual honor handed out to the team’s rookie of the year. Yes, along side the names of Ben Roethlisberger, Troy Polamalu, Louis Lipps and Carnell Lake as Steelers rookie of the year award winners, you’ll also see Harry Newsome’s. Of course, given that ’85 would also mark the Steelers first losing season in 14 years and usher in a period of turmoil for the franchise, perhaps it was an indictment of head coach Chuck Noll’s post-Super Bowl struggles with regards to the draft that a punter was his top rookie. Newsome was around to be named the rookie of the year after beating out Craig Colquitt, who was the team’s punter for seven seasons and played in Super Bowl XIII and Super Bowl XIV. Newsome averaged 39.6 yards per punt in ’85 and got better from there. The only true “where are they now” kind of story I could find on Newsome is courtesy of a Bleacher Report article written in 2009. 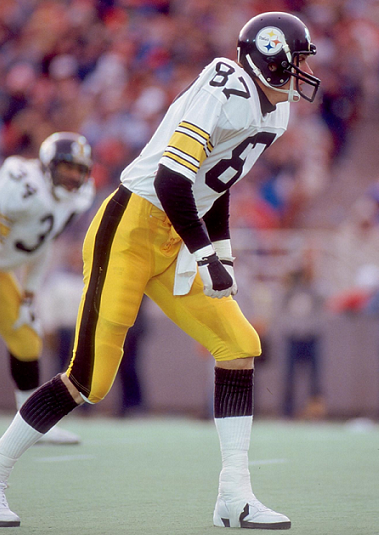 As the author pointed out in the story, Noll had little time for special teams during his career (all one has to do is watch highlights of those famous ’70s Super Bowls to see one special teams mistake after another–especially by kicker Roy Gerela and punter Bobby Walden–to know that was true), and in ’88, Newsome had to deal with four, count’em, four long-snappers. The handle time of the punter himself should be somewhere between 1.2 to 1.3 seconds. I spent my time in Pittsburgh always trying to hurry my punts because the ball took so long to get to me. I even went from a three step punter to two steps. It didn’t help because the extra tenths of seconds on the snap, along with protection problems, left us often exposed. It would amp up the opponents even more knowing this. As a bit of a cruel paradox, while Newsome was setting the Steelers record for punts blocked in ’88, he was also one of the few bright spots on the team, as he led the league with an average of 45.4 yards per punt. In-fact, in Week 15, when the 4-10 Steelers traveled to face the 4-10 Chargers, the NBC announcer opened up the broadcast by saying (and I’m paraphrasing here), “The two best punters in the league are set to square-off this afternoon…..” You see, San Diego’s punter, Ralf Mojsiejenko, was hot on Newsome’s tail but ultimately finished with an average of 44.1 for the season. Newsome would go on to play one more season in Pittsburgh, before leaving as a Plan B Free Agent after the 1989 Steelers storybook season. During his five years with the Steelers, Newsome averaged a respectable 41.4 yards per punt. But he also had an incredible 12 punts blocked, and when he suffered two more during his four seasons with the Vikings, the sum-total of 14 tied him with Herman Weaver for an NFL record that still stands to this day. In researching that aforementioned Bleacher Report article, I was mildly surprised to find out Newsome, who was a great athlete in his youth, was Pittsburgh’s emergency quarterback in-addition to the holder on field goals. This came in handy in 1986, when, following a botched field goal snap, Newsome threw a 12-yard touchdown pass to tight end Preston Gothard in a game against the Bears. There’s another surprising Harry Newsome factoid: Newsome had the longest punt in the history of Three Rivers Stadium when he booted one 84 yards in December of 1992 as a member of the Vikings. In a lot of ways, a punter’s legacy is defined by the team he plays for. Harry Newsome’s career in Pittsburgh is a forgotten one, largely because of the struggles of the Steelers in the mid-to-late ’80s. But not everything is blocked from memory (pardon the pun). When David Little began his NFL career with the Pittsburgh Steelers in 1981, he arrived on the scene one year after his older brother, Larry Little, a future Hall of Fame guard who played 14 years for both the Chargers and Dolphins, ended his. Talk about a lot to live up to for the younger Little, a middle linebacker and Pittsburgh’s seventh round pick out of Florida. Speaking of future Hall of Famers, the Steelers still employed nine of them during Little’s rookie season. One of those future enshrines was Jack Lambert, Pittsburgh’s fierce, cranky and toothless middle linebacker. In only his eighth year in the NFL and still in his late-20s, the perennial Pro Bowler figured to rule the turf of old Three Rivers Stadium for many more years to come. Didn’t seem like there’d be much of a future as a starter for Little, especially considering his rather middle-of-the-road draft-status. Even after the Steelers switched to a 3-4 alignment in 1982 (three down linemen, two outside linebackers and two inside linebackers), it didn’t create a starting spot for Little. Instead, veteran Loren Toews started every game at left inside linebacker in ’82 and again in 1983, while the consistent and reliable Lambert manned the right inside spot. Things forever changed for Little in 1984, after the legendary Lambert suffered a turf toe injury and only started three games. In Lambert’s place and along side Super Bowl veteran Robin Cole, Little started 13 games in ’84 and finished fourth on the team in tackles with 86, according to a UPI story published about Little in January of ’85, just prior to Pittsburgh’s match-up against the Dolphins for the right to go to Super Bowl XXIX. “When you play Lambert’s position, your job is to make big plays,” Little told sports writer Dave Raffo, some 31 years ago. In-fact, the Steelers defense made many big plays with Little starting in-place of Lambert, finishing fifth in both total yards and takeaways in ’84, as Pittsburgh advanced all the way to the AFC Championship Game. Little started the conference title game in Miami, which turned out to be a 45-28 loss, and would continue to start for the remainder of his career, after Jack Lambert retired following the ’84 campaign. Over the next eight seasons, Little was a model of consistency, starting an additional 112 games. The NFL really didn’t keep track of tackles during Little’s playing days, but according to an article from The Pittsburgh Press published in 1990, Little, who made his first Pro Bowl that season, was the same tackling machine as Lambert, as he led the team in that category five of the previous six seasons–including four in a row up to that point. It may have taken awhile for Little to earn his first Pro Bowl honor, but they say the ultimate respect a player receives is from his teammates. He’s been playing here for 10 years and playing well for 10 years,” He’s finally getting recognized, and everybody’s really happy for David. I mean really, really happy. Little played two more years and lasted through Bill Cowher‘s first season as head coach. However, despite the free agent departure of Hardy Nickerson, Cowher released Little during training camp in 1993 in-large part because of the development of second-year players Jerry Olsavsky and Levon Kirkland. Levon Kirkland, who much like Little, would go on to be a mainstay at the inside linebacker spot for many years. Because of his size (275 pounds) and almost unreal athleticism, Kirkland became a star at inside linebacker and made two Pro Bowls during his time with the Steelers. As for Little, he never played again and retired into relative obscurity after 12 NFL seasons. Sadly, on March 17, 2005, Little died in a weightlifting accident at his home in Florida. He was 46. David Little may not have been as famous as his older brother or the Hall of Fame legend he replaced at inside linebacker for the Steelers. In-fact, he probably didn’t even quite enjoy the notoriety of his successor Levon Kirkland. But David Little upheld the standard of excellence that is the Steelers linebacker legacy and had the respect of his teammates and a career to be proud of. Coming to the Steelers as their fourth round pick in the 1980 NFL Draft, Calvin Sweeney, a receiver out of USC, had to be at least a little conscious of the glass-ceiling at the position he would try to play professionally. Steelers wide receiver Calvin Sweeney. With Lynn Swann, a fellow USC graduate, and John Stallworth having long-since established themselves as one of the top-receiver duos in the NFL, just making the Steelers’ squad was going to be a difficult task. But if the youngster did make Pittsburgh’s squad, at least he could get in on the championship success that saw the organization win four Super Bowls in the previous six years, right? Sadly, while Sweeney came to Pittsburgh already knowing he would be the low man on the receiver dept chart, he also arrived on the scene just as the Super Bowl days were coming to an end. My rookie year, the team was leaving for a preseason game. I had surgery on my foot and Terry Bradshaw asked me what are you going to do this weekend? I told him I would stay around St. Vincent. He knew my girlfriend was in Arlington, Virginia visiting her parents. He told me to take his car and go see her. I didn’t know anything about Arlington and he told me it was just a few hours down the road. He just got a new Lincoln Continental. He gave me the keys and I went to see my girlfriend. That was my first impression. He was such a good guy. Everyone on the team were great guys. Speaking of class, there was nobody classier than Art Rooney Sr., the team founder, who made an impression on the rookie Sweeney right away. In an eight-year career in Pittsburgh, Sweeney caught just 113 passes for 1,775 yards and seven touchdowns. However, in 1983, due to retirement (Swann hung up his cleats following the ’82 season) and injury (Stallworth only played in four games), Sweeney had a career-year, as he led the team in receptions (39), receiving yards (577) and touchdowns (five) while starting all 16 games. Of course, the highlight of Sweeney’s ’83 season (and perhaps the thing that he’s most remembered for) was Terry Bradshaw’s last pass. Bradshaw had been out the entire ’83 season up to that point, recovering from offseason elbow surgery. However, in a Week 15 match-up against the Jets at Shea Stadium – in the last game at that historic venue – Terry Bradshaw made his regular season debut. After giving Pittsburgh a 7-0 lead thanks to a 17-yard touchdown pass to Gregg Garrity in the first quarter, Bradshaw put the Steelers ahead, 14-0, with a 10-yard strike to Sweeney in the second quarter. I didn’t know if was [Bradshaw’s] final one then. We set up a play where I lined up close to Bennie Cunningham. Bradshaw came out of the pocket and just jumped and threw it and I caught it. He grabbed his elbow then and tried to shake it off. We went to the sideline and he said I am through, my arm is killing me. We thought it would be a few weeks. Cliff Stoudt came in and played. Next thing I knew Brad said I can’t go anymore. Sweeney would go on to play four more years and was out of football following the strike-shortened ’87 season. As per his Pittsburgh Sports Daily Bulletin interview from 2012, Sweeney, 61, is working in management for UPS, a company he began with as a delivery driver, immediately after his playing days ended. Calvin Sweeney may not have had a great career, but he certainly seemed to enjoy his time in Pittsburgh and in catching Terry Bradshaw’s last pass he played an under appreciated role in Steelers history. And he appears to embody the same class as the team founder who called him “Mikey” and the Hall of Fame quarterback who loaned him his new car and honored him with his final pass. When I was a kid, my grandfather would rattle off obscure names of former Pittsburgh Steelers from the ’40s, ’50s and ’60s. These players obviously weren’t stars, but to him, they were favorites that he had a soft-spot in his heart for. Perhaps today, there are 40-somethings who grew up in the 1980s, telling their kids about this former Steelers receiver named Weegie Thompson. Willis “Weegie” Thompson played his college football at Florida St., before arriving in Pittsburgh as a fourth round pick in the 1984 NFL Draft. During a three-year college career, Thompson caught just 41 passes for 711 yards and five touchdowns. But 31 of those catches, 502 of those yards and three of those touchdowns occurred during his final year, which probably helped his draft-status immensely. It also didn’t hurt that Thompson stood at 6′ 6″ and weighed 212 pounds–measurables that would equal the playing field for most unheralded college receivers looking to make it at the pro level. Thompson was part of the same class that produced Louis Lipps. After a rookie season that included 17 receptions for 291 yards and three touchdowns, playing behind both Lipps and the legendary John Stallworth, it may have looked like the future was bright for the young Thompson. Unfortunately for Thompson, he never broke through to the top of the depth chart and never caught more than 17 passes in any given season. 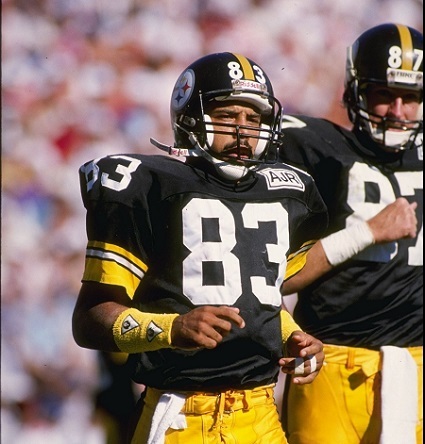 Thompson went on to play just six seasons with the Steelers, before getting on with his life’s work following the 1989 Steelers story book season. As the Pittsburgh Post-Gazette pointed out in a story about Thompson in 2003, maybe if he had played 15 years later, he would have been utilized as more of a downfield weapon, instead of primarily as a blocker for the always conservative Chuck Noll. I don’t dwell on it. I was proud to be a member of the Steelers and of the time I spent in Pittsburgh. I played hard and performed to the best of my abilities when I was there. I gave it my best and I’m pretty comfortable with that. However, while Thompson had a rather obscure career that included just 79 receptions for 1,377 yards and 11 touchdowns, thanks to his abilities as a blocker, he was able to gain lasting respect from one of the all-time greats, Hall of Fame safety Ronnie Lott. Thompson’s play during the Steelers’ famous upset victory over San Francisco in Week 7 of the 1984 season (the only loss by the eventual Super Bowl champion 49ers that year and perhaps Noll’s most impressive post-’70s regular season victory) is mentioned in a SFGate article about Lott from 2000. Call it respect–for yourself, for others. It had meaning to Lott. You earned his respect by playing hard and tough, and within the rules. He still fairly gushes when he talks about a journeyman Pittsburgh wide receiver named Weegie Thompson. In Thompson’s rookie season, 1984, the Steelers were the only team to beat the 49ers. One reason they did was by assigning Thompson to block Lott on every play. Some NFL players go on to have Hall of Fame careers (Lynn Swann and John Stallworth), some are borderline (Hines Ward). Others have good careers that may have been better in different eras or under different circumstances (Buddy Dial, Roy Jefferson and Louis Lipps), while some never reach their full potential (Santonio Holmes, Limas Sweed and maybe Martavis Bryant). But there are countless NFL players who play for a while and end their careers with no legacy. Football doesn’t define them; it’s something they did for a part of their lives. Weegie Thompson was that kind of football player, but he still left enough of an impression on fans and even peers playing for rivals to be proud of his time with the Steelers and the NFL. The 49ers owned the 1980’s. The Steelers were slightly over .500 during the decade. Nothing could be further from the truth. 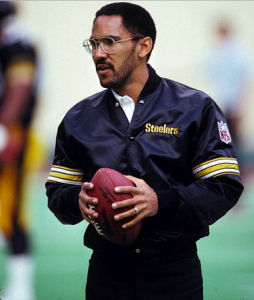 Talent deficiencies, not coaching deficiencies, lay at the root of the Steelers woes in the 80’s. If Noll is largely responsibility for that drop in talent, then he wins praise for his ability to coach that talent. What other coach could win playoff games with the likes of Mark Malone and Bubby Brister? Comparing dynasties from different eras is fun but futile. 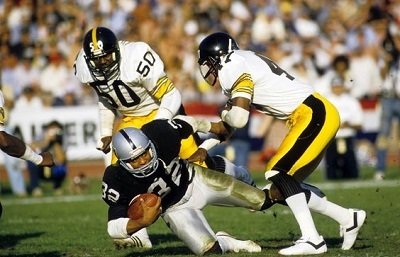 Think of Steelers of the 70’s vs. the 49er’s of the 80’s debate. The Pittsburgh Steelers were superior, but proving that is impossible. Players from different eras have training methods and their relative athletic abilities vary too much. Many Steelers from the 70’s took off seson jobs just to make ends meet. In the 80’s, that was no longer necessary. Fortunately, hypotheticals are unnecessary when it comes to evaluating pure coaching talent. Chuck Noll’s 1981 Steelers team still had loads of Super Bowl veterans. And if many of these men were past their primes, many others were still playing at a pretty high level. 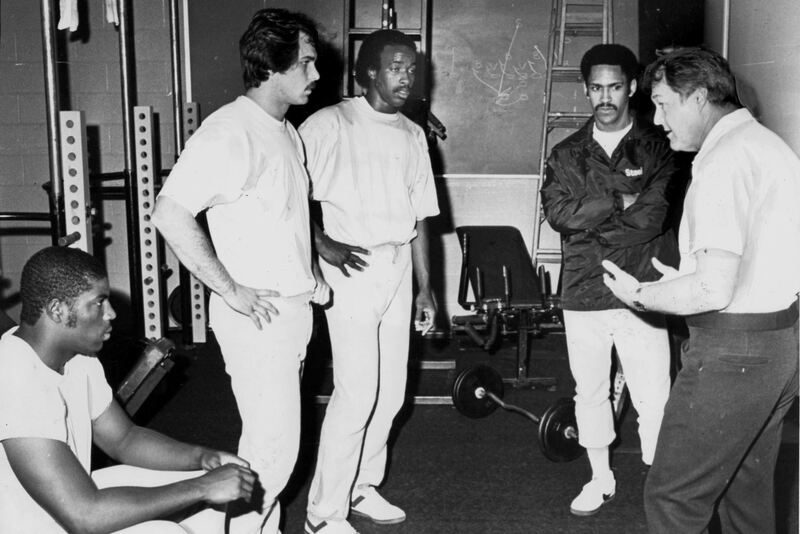 The 1981 squad was Walsh’s first Super Bowl team, so credit Bill Walsh’s coaching for that win. Fair enough, but Chuck Noll deserves far more credit for the his victories in the next two meetings. When the two teams played in 1984, only a handful of Super Bowl veterans remained. Frank Pollard and Walter Abercrombie manned the backfield. Greenwood, Holmes, Greene, and White had given way to the likes of Keith Willis, Keith Gray, and Edmund Nelson. David Little and Bryan Hinkle occupied spots once taken by Lambert and Ham. And of course, Mark Malone stood under center. Despite a vastly inferior roster, Noll and the Steelers carried the day, handing the 15-1 Super Bowl Champion San Francisco 49er’s their only loss. A similar scene repeated itself on opening day 1987, when only Dwayne Woodruff, John Stalworth, and Mike Webster remained from the glory years. This was a 49ers team that not only had Joe Montana and Ronnie Lott, but also Michael Carter, Roger Craig, and of course, Jerry Rice. Yet once again, the duo of Noll and Malone prevailed over the tandem of Walsh and Montana. One Victory Might Equal “On Any Given Sunday,” but What About Two…? The “On Any Given Sunday” phenomenon might explain one victory, but winning two out of three? Indeed, the ballyhooed “West Coast Offense” never managed more than 17 points against in three tries against Chuck Noll’s defenses. When it came facing off on opposing sidelines, the most important measure by far, Noll holds a small, but significant edge over Walsh. So Who Was Better, Noll or Walsh? When all is said and done, there’s a compelling case for Chuck Noll. He won more games and more championships. He also vanquished Walsh twice, and with Steeler teams that whose talent was far inferior to their 49er counterparts. There’s a reason why we call him the Emperor. Ultimately, the answer comes down to what you decide. But in the spirit of the blogsphere, I’ll close this series of posts with a question. Chuck Noll and Mark Malone beat Bill Walsh and Joe Montana — twice. Does anybody think Bill Walsh could have beaten Chuck Noll with Mark Malone as his quarterback? * Bill Walsh himself responded to the question on the Sports Reporters once, conceding that Pittsburgh would win if 70’s rules were used, but the 49’ers would prevail if 80’s rules were used. He’s probably right. Click here to return to the main article of the Chuck Noll vs. Bill Walsh series. To display all article under the tag, click here.